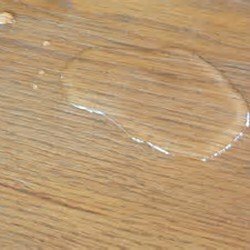 An excessive amount of water could make your wood floor swell and cup. It can also cause cracks to turn gray. Clean up puddles as soon as possible. Wipe up spills immediately. Use a damp cloth to clean up sticky messes before they set. Once your floor has been cured, use mats or area rugs at any point where there is heavy foot traffic, Dirt, sand and grit on the bottom of shoes will scratch your floor. Place mats in areas where water spills could occur. Remove all wet mats immediately. Rubber-backed or non-ventilated rugs that may oxidize on the floor and discolor the wood should be avoided. Do not place rugs on your newly finished floor for one to two weeks to allow for curing. Fully cover installed flooring to protect it from damage or deterioration, before and after finishing, and during remainder of construction period. Use building paper or other suitable covering. Do not use plastic sheet or film that could cause condensation. 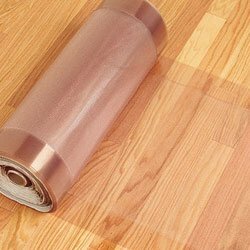 Do not tape covering to finishes flooring. 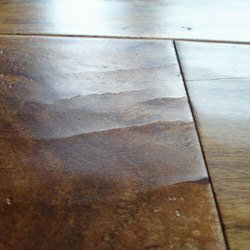 Do not cover site-finishes floors until finishes reaches full-cure, but not less than seven days after applying last coat. The toe nails of large pets can cause scratches, so take precautions. Urine is an acid and will leave a permanent stain. Wipe up immediately. 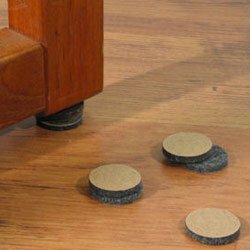 Use floor protectors under chair legs and other furniture to prevent scratching your hardwood floors. When moving heavy furniture, do not slide it on wood flooring. It is best to pick up the furniture completely to protect the wood flooring. For wood flooring in the kitchen, place an area rug in front of the kitchen sink. 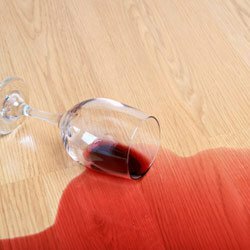 Do not clean your floor with wax related products, furniture polishes, vinegar, ammonia or pine cleaners. 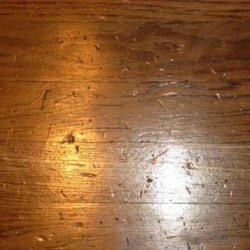 Not only are they less effective cleaners, they may dull your finish and make it more difficult for the floor to be refinished properly. Keep the floor clean. 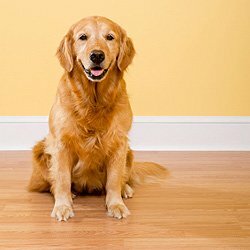 Walking on sand, dirt and grit, which have abrasive particles, will cause your finish to wear out faster and make your floors loose their shine. Women should avoid walking on wood floors in high heels which can put indentations in your wood floors. Keeping heels in good repair will minimize damage. 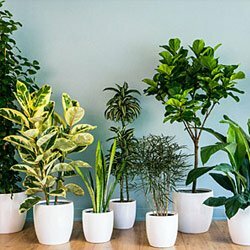 Keep plants in waterproof containers, in order to prevent water stains. 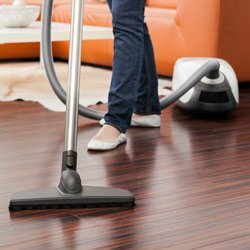 Humidity levels in your home can affect your wood floor. Relative humidity kept between 45-55% will reduce the possibility of your wood floor swelling or forming cracks. 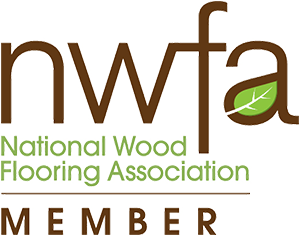 Use a humidifier throughout the winter months to keep wood movement and shrinkage to a minimum. Have a question with something not shown here? Check out our blog for more, or get in touch with us. We'll happily answer any questions you may have!